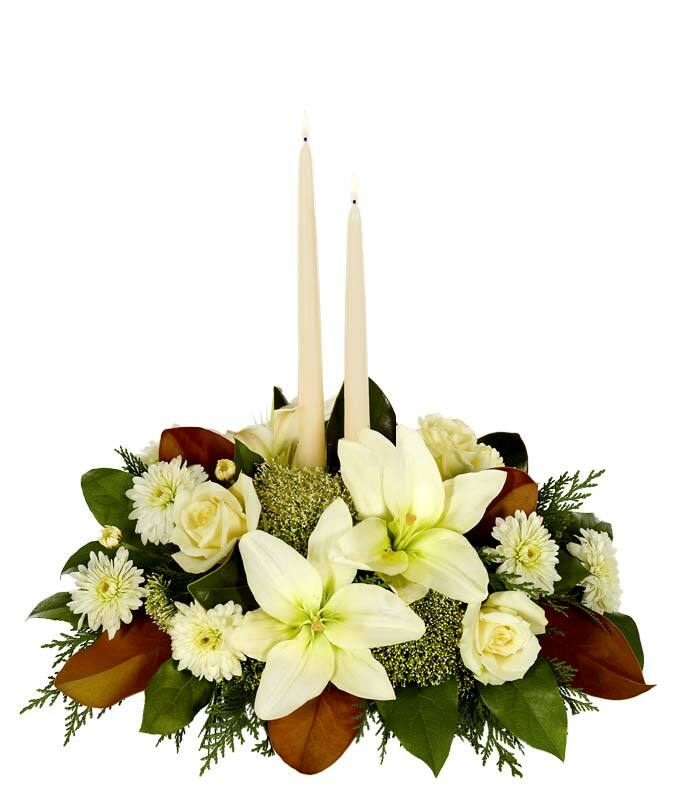 The White Lily Christmas Centerpiece is a gorgeous floral display. Brilliant white lilies, roses, and white cushion poms are accented with green trachelium and topped off with white taper candles. For a holiday centerpiece that is sure to impress, look no further.